15 destination properties are nominated and seeking a top spot on this prestigious list, where tourists themselves choose the best hotels in the world. Condé Nast Traveler has published the list of nominees for the 30th edition of its 2017 Readers’ Choice Awards. As happens every year, the Riviera Nayarit is front and center in the hotel category with a wide variety of options. Voting ends on July 1, 2017 and the final ranking will be published on September 27, 2017. With every vote participants are entered to win a “Viking Homeland Tour” from Viking Ocean Cruises, a 15-day, 14-night trip for the winner and their friend through the waters of the Baltic Sea and the Scandinavian regions of Sweden and Norway. 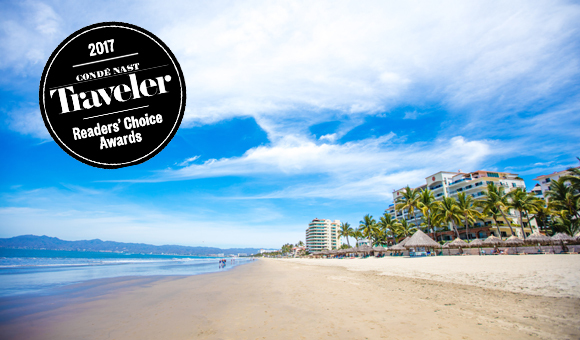 There are 15 destination hotels in the nomination, including the Occidental Grand, Hard Rock Hotel, Grand Velas, Marival Residences and Dreams Villamagna in Nuevo Vallarta; and Villa del Palmar, Villa La Estancia and Samba in Flamingos. From Punta de Mita and Higuera Blanca, participants are the Four Seasons, St. Regis, W Punta de Mita, Grand Palladium, Hotel Cinco and Imanta. Rincón de Guayabitos has its own contender in the Villa Corona del Mar. Of note: in both 2015 and 2016 the Four Seasons, St. Regis, Grand Velas and Hard Rock were all ranked within the first 25 spots. Last year over 300 thousand travelers voted, a new participation record that generated 75,000 comments to help the editorial staff of the magazine choose the favored hotels from around the world. To register your vote go to: https://www.cntraveler.com/rca/vote.